Next 30 days is going to be busy. I got soil samples from the patches, now that the snow is gone, that is drying and then I'll send into the lab this week. 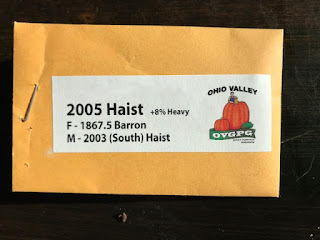 When I get my soil test results back I'll then amend the patches around mid-April and then I'll then start heating up the soil in preparation for planting around the first week of May. Today I'm starting some pumpkin seeds, but these won't be the plants that I'll grow. I've put some myco and azos into a pot. This will be used to get the myco maturing early and I'll then transfer that myco to the pots of the plants I'll grow in two weeks. The seeds I'm starting now will feed the myco until it is transferred into the new pots. April 13th will be my seed starting date. Once I get the greenhouse figured out I'll maybe start seeds earlier in future years, but with a last frost date around the last week of May, I have a fine balance between giving the plants as much growing time as possible and giving the plants the best growing environment. So this year I'm going to play it more on the safe side. For everything else I'm going to put the pedal to the floor this year. One thing that amazed me this last week was the growth of the winter rye. Last fall I sowed winter rye seed in the non-greenhouse patch, just as the weather started getting cold. 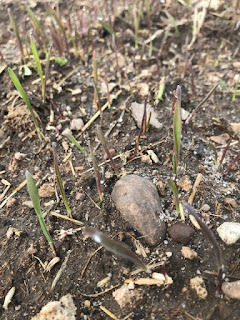 Two weeks later in the greenhouse I sowed winter rye and a week later I had it popping up. The other patch I never saw the grass sprout at all. Eventually the outdoor patch was covered in snow and we got a lot of snow this year that stuck around all winter. Maybe three feet deep at its deepest. Last week the snow was still at least a foot deep in the outdoor patch so I cut some 2 foot wide holes in the snow in the hopes I could get some spots to dry out faster so I could get soil samples this week. The last two inches I couldn't dig out, because it was all ice. The beginning of this week those holes melted out even though the surrounding areas still had 4-5 inches of snow on them. 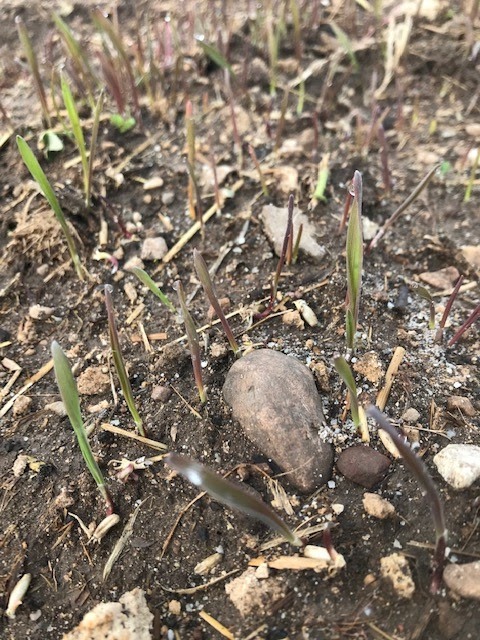 What surprised me was to see the winter rye popping up in the holes I had cut, even though everything around it was still solid ice/snow. Now the outdoor patch is greening up everywhere nicely. I'll till the planting areas in both patches in two weeks, to get the grass breaking down before planting. The rest of the grass I'll let grow with a few mowing as long as I can (probably late June to early July). The greenhouse grass isn't very tall at all. Deer have mowed it short. I didn't get much water in the greenhouse this winter. Hose froze in the snow (silly me for leaving it out), so once every two weeks I'd shovel a bunch of snow in the greenhouse to keep it going. With the warmer weather now I can see it starting to take off with the regular irrigation. Yea. Greenhouse is Wired Up! A little excited. The greenhouse is wired up now with power. Those electrical plugs will be connected to smart plugs which will control fans and watering system. I'm hoping and plan in the next three weeks to have everything in place and I'll post a little video on how to automate your growing on the cheap. Steve Deletas has consistently been one of the best growers in the world for a lot of years. As a profession he is a pilot, so he is away a lot. Because of this he has come up with an automated watering system to make sure his plants get the perfect amount of water all the time. I met Steve a number of years back. A very nice guy. The following is his presentation this last weekend at the GPC spring seminar. In 2018 I cut back some on the usage of seaweed in my fertilizer program. After a discussion with a scientist at the Utah Giant Pumpkin Grower Spring meeting today, I'm putting it back in, but mostly on the soil. This scientist talked about keeping the roots young and seaweed is a good way to do that. Seaweed can encourage root hair elongation/growth and root hairs typically will only last about two weeks. 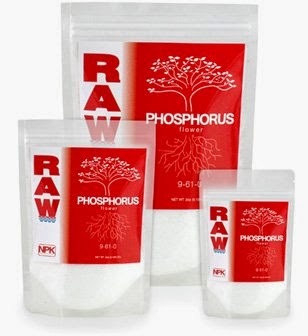 Foliar application effects a plant much differently than soil applications. So in 2019 I'm going to do more soil applications and less foliar applications. The Amine N is basically urea form of nitrogen. Another interesting part of the discussion I had was urea verses ammonium sulfate for nitrogen. By the end of the discussion my conclusion was that for soil applications, sulfur coated urea is a little bit better way to go. Also enjoyed Ralph's presentation today. He had shared a lot of what he presented with me previously, but pulled away with some new ideas as well. Basically I'll be doing much more soil testing this year of dissolved solids (NPK) to make sure the nutrients are staying within the 500-900 range. I know I've been too low in the past. 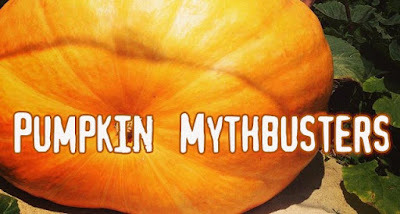 Ever wondered how someone grows a one ton pumpkin? 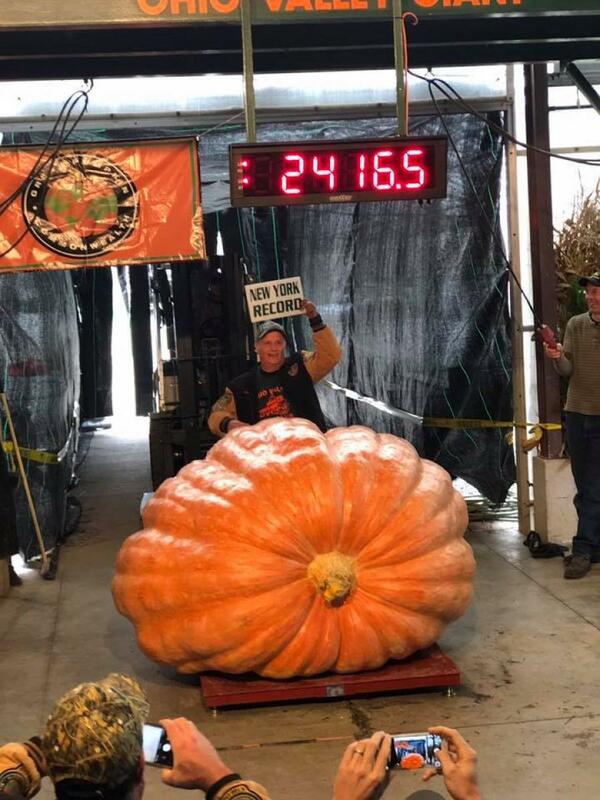 I sat down with Eddy Zaychkowsky of Alberta, Canada at Christmas time to ask how he grew a 2,255 pound pumpkin this last season and Eddy shared it all. 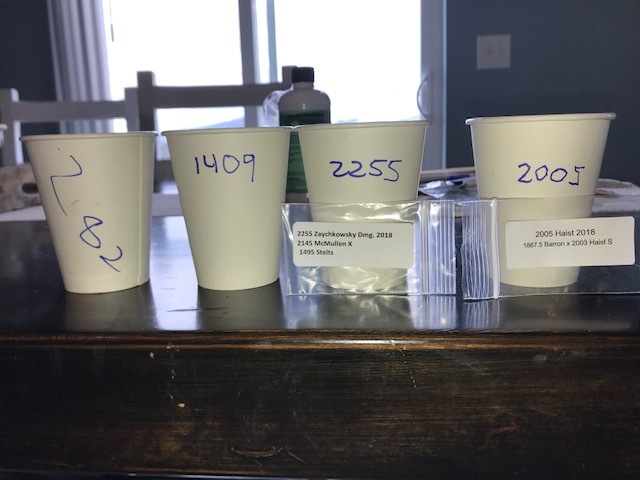 He loves the idea of experimenting with different things and then sharing the data to growers in the hopes it might help all growers grow bigger. I've visited with Eddy a few different times at his house. He has some very nice greenhouses that he grows in. Without the greenhouses I'm sure it would not be possible to grow as big as he does because of his short growing season and and cool nighttime temperatures. 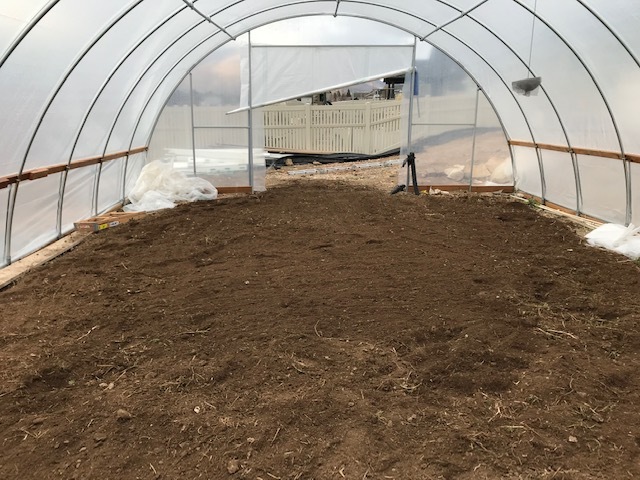 Many of the things he is doing could not be done without the use of a greenhouse, but the principles he is using I believe apply to all growers. 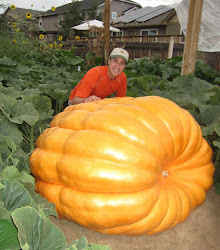 Previous to this last year I believe the biggest pumpkin Eddy had grown was just over 1,100 pounds. Anytime you can find a grower who has doubled his personal best has figured out something that works and when that grower has grown the biggest (unoffical) pumpkin ever grown in Canada you know he is doing a lot of things right. This is year three of Eddy's experimentation. He said he learned a lot from those first two seasons to get what he got this last year. In year two he was having phenomenal growth but lost the pumpkin relatively early (as I recall around 1,600 pounds) as he probably blew the pumpkin up as a result of giving the plants CO2 later in the season and the growth was too much. This last year he stopped the CO2 around July 1st but still lost the 2145 pumpkin in September with a lot of time left to grow. I'd like to thank Eddy for the time to meet with him and being so willing to share what he has learned from his experimentation. Before listening to this audio file, please download the pdf. The first three pages are a handout from Eddy explaining what he did throughout the season with his plants. The last three pages are the three tissue tests that Eddy and I are talking about at the very beginning of the interview.